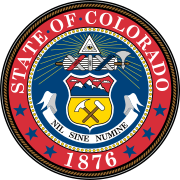 The 1998 United States Senate election in Colorado was held November 3, 1998, alongside other elections to the United States Senate in other states as well as elections to the United States House of Representatives and various state and local elections. Incumbent Republican U.S. Senator Ben Nighthorse Campbell won re-election to a second term. As of 2019, this is the last time the Republicans have won the Class 3 Senate Seat from Colorado. Campbell, who was elected in 1992 as a Democrat, switched parties after the 1994 Republican Revolution. He faced a primary challenger, but won with over 70% of the vote. In the general election, Democratic nominee Dottie Lamm criticized Campbell of flip flopping from being a moderate liberal to moderate conservative. In fact, throughout the entire campaign, Lamm mostly sent out negative attack advertisements about Campbell. This page was last edited on 25 February 2019, at 06:05 (UTC).